Come to a discussion of how to make easy, healthy, and time-saving one-dish meals. Learn some techniques to budget both your time and money when it comes to healthy eating. 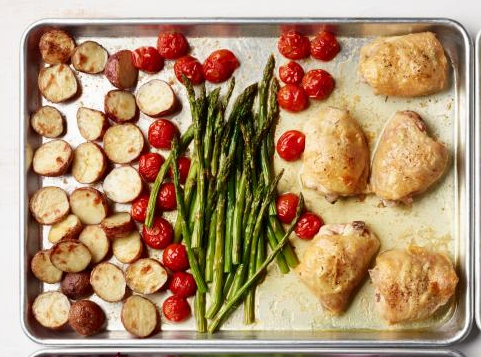 This lunch and learn will feature of demonstration of sheet pan meals for easy cooking and clean up designed for both vegetarians and omnivores. One lucky student will win some kitchen tools to help them get started in the kitchen!